Adam Davies reads from Mine All Mine. ; Brock Clarke reads from An Arsonist's Guide to Writers' Homes in New England: A Novel. Adam Davies reads from Mine All Mine. Adam Davies , Mine All Mine. 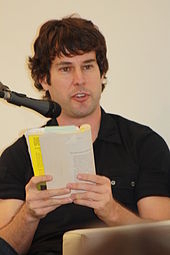 Adam Davies is currently considered a "single author." If one or more works are by a distinct, homonymous authors, go ahead and split the author. Adam Davies is composed of 2 names. You can examine and separate out names.